When clients seek to resolve state or national governmental issues, they look to Kyle for smart guidance that advances their business objectives. 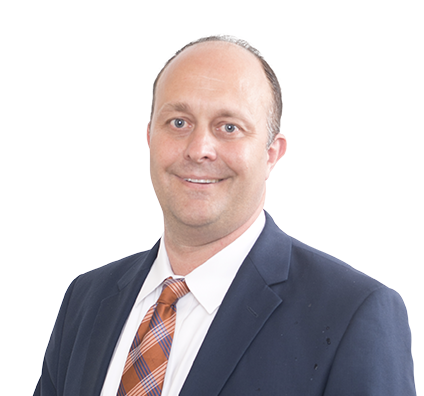 Kyle’s practice involves governmental affairs, regulatory work, campaign finance, government contracts and election law. He works extensively with legislation related to banks, insurance, brokerage companies and trade finance. He also advises industry representatives from groups, companies and associations with legal services across the public policy spectrum. In addition, Kyle’s experience includes issues related to financial services, agriculture, energy, natural resources and healthcare. He has extensive knowledge to help clients navigate the complexities of regulation and compliance at the Food and Drug Administration (FDA). Kyle is managing partner of the firm’s Washington, DC, office. Kyle also oversees our government affairs work in Nebraska, from both the Lincoln and Omaha offices. Advised electric power cooperative seeking to build new coal-fired plant on securing amendment in House-passed version of Farm Bill. State had completed inspection and approved project; however, federal government wanted to conduct its own inspection. Amendment exempted certain cooperatives (including our client) from federal inspection. Represented midstream energy company in drafting letter and obtaining signatures from approximately 15 members of Congress urging governor of New York and his executive agencies to approve construction of underground natural gas storage facility in New York. Represented First National of Nebraska on Basel III capital and credit card matters, such as interchange and swipe fees, Dodd-Frank and municipal advisor matters. Advised one of the nation's largest qualified intermediaries on like-kind exchanges and secured provision in Dodd-Frank law on consumer protections. Counseled Nebraska Investment Finance Authority on tax credit programs and represented it before Congress on matters such as expanding use of low-income housing tax credit near military bases. Represented Fort Bend County Levee Improvement District No. 2 on residual risk of loss issue for federal flood insurance program. Kyle enjoys playing and coaching softball and baseball. Kyle has played on sports teams since he was a kid. Now he plays softball and baseball on recreational teams and coaches teams for his two boys. Kyle grew up in Nebraska, went to college there and still has strong ties to the community. He grew up on a farm in Nebraska and has been involved in agriculture all his life. Kyle’s father is a retired agriculture professor, and his parents currently raise corn, soybeans and wheat. Kyle attended the University of Nebraska and began his legal career on the staff at the Nebraska attorney general’s office and Nebraska Legislature. He was a legislative assistant to U.S. Rep. Doug Bereuter and served as a legislative aide to state Sen. David Maurstad. Though Kyle manages the firm’s Washington, D.C., office, he maintains strong ties to his Nebraska roots. He maintains an office in Omaha, where he helps clients manage political action committees (PACs), advises on election law and counsels on contracts at the municipal level.